You are here: Home » My Bucket List has been featured in Woman’s Own magazine! 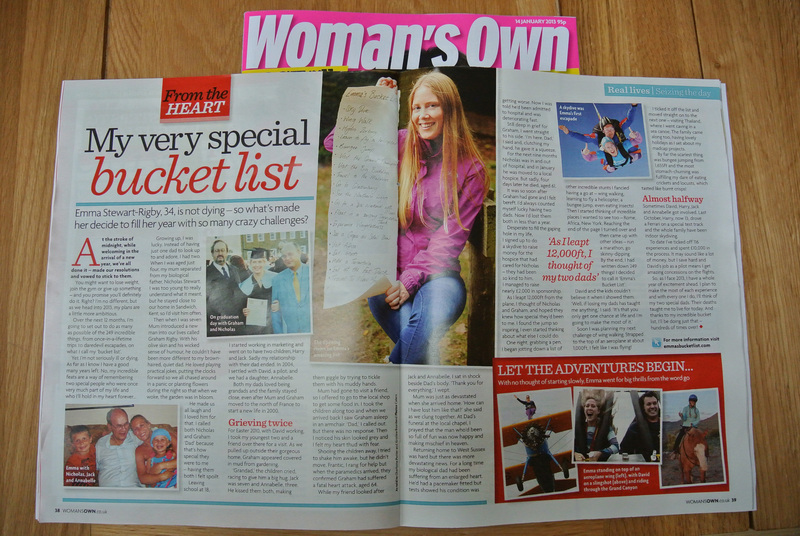 My Bucket List has been featured in Woman’s Own magazine! 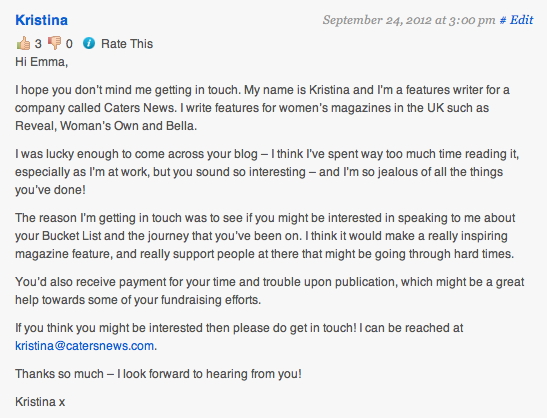 Of course, I was very flattered, and because it was such a lovely message-I accepted. It is lovely to think I might inspire even one other person who is going through a hard time. There are a few minor errors in the story… Overall though, I am really pleased with it, and hope that maybe it might start other people thinking about what they might want to achieve with their own personal bucket/wish list, or even just about being positive. FYI – Clicking on the image at the top will make the article readable (you can also zoom in on it once open). Congrats…glad you are spreading the word that you don’t need to be dying to have a bucket list and live life the the fullest! Thanks for the comment CeCe. I love your recent post about donating hair to locks of love by the way! I just checked it out!